Mitzi Johnson | The Vermont Political Observer. This morning, I sat in on a House Appropriations Committee hearing on S.73, a bill that would set limits on the rent-to-own industry — an industry that’s virtually unregulated and preys on cash-poor Vermonters. For those unfamiliar, RTOs offer household furnishings and appliances with very little cash up front, but interest rates that’d make a banker blush. Not to mention undisclosed fees and charges. According to Legislative Counsel David Hall, current state law gives the Attorney General rule-making authority; but RTOs write their contracts in a way that effectively puts them beyond the reach of current law. Hey, I’m sure that’s just a coincidence. The bill would establish price caps and disclosure requirements on the industry. This entry was posted in Business and tagged Heidi Scheuermann, House Appropriations Committee, Internet dating, Michael Marcotte, Mitzi Johnson, predatory lending, Rent to own, S.73, VPIRG on May 5, 2015 by John S. Walters. — The committee vote was 11-0. Even so, the Republicans were lambasting the budget even before the vote was taken. Are the committee’s Republican members hypocrites, or is it harder to be a simple-minded partisan when the rubber hits the road and you’re in a small room with your Democratic colleagues, than when you’re facing the camera with fellow Republicans? — The Republicans clearly didn’t take the budget-writing process very seriously, since they waited until Approps had finished its work before offering a single specific cut. Even worse, during the process Republicans frequently objected to cuts proposed by Democrats — again, without suggesting alternatives. — The Republicans’ budget plan is unworkable on its face. Its major initiative is a call for zero growth, but that’s (a) impossible because some programs are growing, like it or not (Lake Champlain cleanup, for instance), and (b) an abdication of the Legislature’s responsibility to draw up a budget. The responsible course, as Approps chair Mitzi Johnson has pointed out, is to fulfill the legislature’s duty and make the hard choices. Across-the-board slashing is the coward’s way out. The cuts [House Minority Leader Don] Turner put on the table Monday include eliminating grants to substance abuse recovery centers, scrapping a childcare subsidy for poor mothers, cutting funding for state colleges by 1 percent, and taking $5 million from a fund that would otherwise provide college aid to Vermont students. Republicans also say spending reductions on items such as the renter rebate, financial assistance for health insurance and the Vermont Women’s Commission are preferable to increasing revenues that would otherwise be needed to fund levels recommended for those programs in Gov. Peter Shumlin’s budget. Okay, let’s make it harder for addicts to get clean, harder for poor mothers to hold down a job, make higher education less affordable, and make health insurance less accessible. All those cuts would save money in the short term, but cause even more expensive social damage in the long term. The Democrats are trying to walk a fine line, and craft a budget that’s not fiscally irresponsible while still helping to make Vermont a better place to live. That sounds good and responsible, but the devil is in the definitions. Do you think low-income heating assistance is nice or necessary? How about broadening access to health care? A social obligation, or an extra? Let’s talk substance abuse treatment, at a time when Vermont is in the throes of an addiction epidemic. Necessary or nice? The good Senator apparently believes all these things fall into the “nice” category. Many of us don’t agree. Okay, now let’s look at some items that aren’t on the Republican cut list — and weren’t on the Democrats’ either, for that matter. Necessary or nice — you make the call! — The state giving $2.5 million to GlobalFoundries, a move that will do nothing to keep the company in the state. On a worldwide corporate scale, that’s nothing. It amounts to a burnt offering meant to propitiate the corporate gods. And it takes a big leap of faith to think it’ll have any effect whatsoever. Necessary? — The state continuing to let unclaimed bottle deposits go to bottling companies. That’s a $2 million item, I’ve been told. Is that a necessary giveaway? Hell, I wouldn’t even class that one as “nice.” “Noxious” is closer to the mark. — When ski resorts purchase major equipment, they don’t have to pay sales tax. That’s another $2 million a year. Is that necessary, in any definition of the word? — For that matter, we’re letting the ski industry make a fortune thanks in large part to bargain-basement leases of public lands. The industry is understandably loath to reopen the leases, but there are ways to get it done. Instead, we’re letting them ride. Necessary? Hell no. Nice? Only for the resort owners. — Vermont is one of only a handful of states that exempts dietary supplements from the sales tax. Nice or necessary? 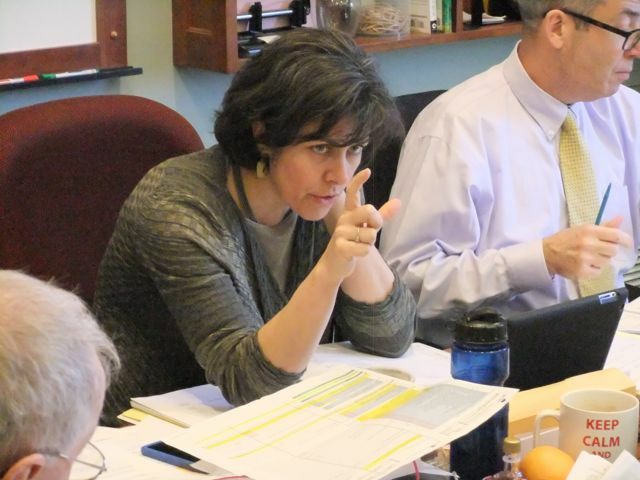 — The Vermont Technology Alliance gets a $52,250 grant. Why? — The Vermont Captive Insurance Association gets $50,000 to pay for “promotional assistance.” I realize the industry is a strong positive for Vermont, but the grant is certainly not necessary. — The Vermont Ski Areas Association gets $28,500. This is the same group that refuses to reopen the leases. Why are we rewarding their intransigence? That’s just a few I happen to know about. I’m sure there’s lots more. Are grants to industry “necessary” or “nice”? If we’re asking the poor and downtrodden to take major hits to the social safety net, couldn’t we ask our industries to accept at least a haircut? And if we want to promote business in Vermont, why not take back all these penny-ante grants, put part of the money into a coordinated statewide campaign (like the one proposed by Lt. Gov. Phil Scott’s economic-development crew) and bank the rest? Also, the state Senate is considering a bill that would make Vermont’s economic development incentives easier to access. Supporters, such as Republican Sen. Kevin Mullin, posit the bill as an investment in Vermont’s future. Which is fine. But so is increasing access to higher education, providing child care for working mothers, and helping addicts get clean. Those social programs aren’t just “giveaways,” they are investments in a safer, healthier, more productive Vermont. This entry was posted in Budget, Business, Economy, Vermont Republican Party and tagged Don Turner, economic development, Globalfoundries, House Appropriations Committee, Joe Benning, Kevin Mullin, Mark Johnson Show, Mitzi Johnson, ski resorts on March 24, 2015 by John S. Walters. It’s been a very long week at the House Appropriations Committee, which has been trying to close the remaining $18 million or so in the budget gap for Fiscal Year 2016. In today’s session, members tried everything they could think of, and then some, to balance the budget while avoiding some of the “big uglies” — the proposed cuts that nobody wanted to make. Shall I cut to the chase? After advancing through the five stages of grief, they ended up accepting pretty much the entire list, including $6 million from LIHEAP, $2 million from a Department of Children and Families weatherization program, a $1.6 million hit to Reach Up, a million-dollar cut for the Vermont Veterans Home, a reduction in state funds for Vermont PBS, and $817,000 from Vermont Interactive Television. This list was dubbed a “wish list” by the committee — not because they wanted to cut the items, but precisely the opposite: their wish was to avoid having to cut these items that were put on the chopping block in Gov. Shumlin’s budget proposal. There were a couple of adjustments. As reported in my previous post, the committee adopted Rep. Maty Hooper’s plan to phase out the state prison at Windsor and devote some of the savings to re-entry programs aimed at reducing the inmate population and avoiding the export of more inmates to out-of-state prisons. And a $500,000 cut to the judiciary system was technically made a one-time cut, with the understanding that the system will reform itself in the coming year to generate equivalent savings in future years. All the “wish list” cuts adopted by Appropriations added up to a little over $14 million in savings, mainly from the Agency of Human Services. Which is almost inevitable; the committee was looking for cuts only in General Fund programs, which leaves out a significant share of state spending. Most General Fund spending is in Human Services, so that’s where the cuts had to come from. Mind you, nothing was finally decided today. Some committee members still hope to restore some of the cuts, but in order to do so, they’ll have to find equivalent cuts elsewhere. (Appropriations has no authority to increase revenues; it only oversees the spending of state funds.) As they put it, “buy back” some cuts. That seems unlikely, however; at day’s end, the committee was still $1.93 million short of a balanced budget. So in order to restore any of today’s cuts, they’d have to find more than $2 million in savings elsewhere. Appropriations Chair Mitzi Johnson looking for cuts of any size, large or small. And they tried really hard today. Most of the committee’s Democratic majority did not want to impose Shumlin’s cuts. Committee Chair Mitzi Johnson repeatedly invited members to come up with their own substitutes. And they all looked high and low, with almost no success. At one point, Johnson asked members to split up into “unlike pairs” to discuss the “wish list” and other possible cuts. That session lasted almost an hour, and ended with several members making cellphone calls in pursuit of information on possible savings. Items of as little as a few thousand dollars were offered. Watching all this made me appreciate how hard it is to find savings in the budget. For all the conservatives’ cries of waste and abuse and lavish spending, Republican members had no more success than Democrats in finding fat to trim. In the end, committee members of all stripes were reluctantly united behind a budget proposal that will bring painful cuts to many areas of government. There were no easy calls. This is an early step in the process. The budget has to get through the full House, where trouble may loom in the form of a Republican/liberal coalition that opposes the budget for very different reasons. If it gets through the House, it’ll have to make its way through the Senate’s often weird and unpredictable gauntlet. But the Appropriations Committee tried and tried and tried; and in the end, it couldn’t find more palatable alternatives to Gov. Shumlin’s budget proposal. This entry was posted in Budget and tagged Agency of Human Services, House Appropriations Committee, LIHEAP, Mary Hooper, Mitzi Johnson, Peter Shumlin, Reach Up, Vermont Interactive Television, Vermont PBS on March 20, 2015 by John S. Walters.